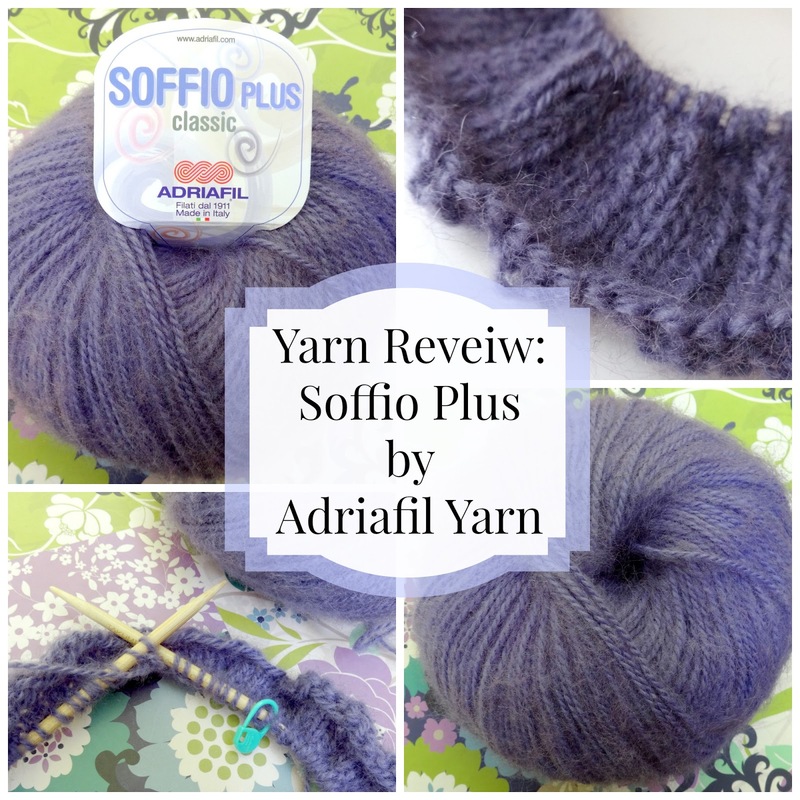 Recently I was given the chance to check out some yarn from the Adriafil Yarn Company. 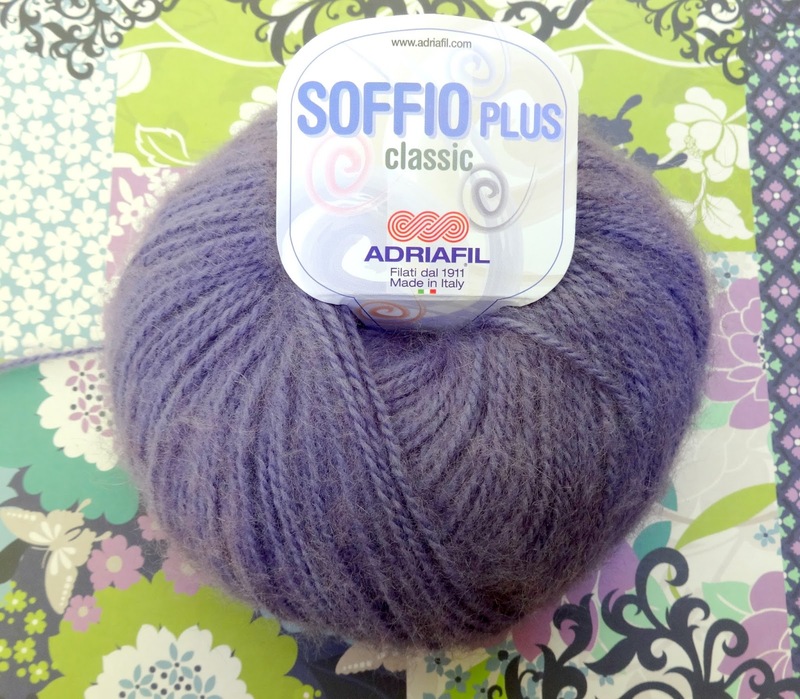 Soffio Plus by Adriafil is a luxurious blend of mohair, wool, and acrylic. Each 50 gram ball comes in 20 colors and I was given the "53-Purple" colorway to try out. It is a beautiful shade of elegant lavender and a perfect color for anytime of year. When I first began my project, my initial attraction was to the beautiful color, muted and elegant, it is perfect for both dressy and casual occasions. I can definitely see myself wearing this color often. Of course I began a project with it right away. 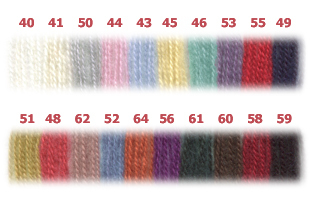 I opted to make a knitted project this time...more about that soon, but here's a little sneak peek. 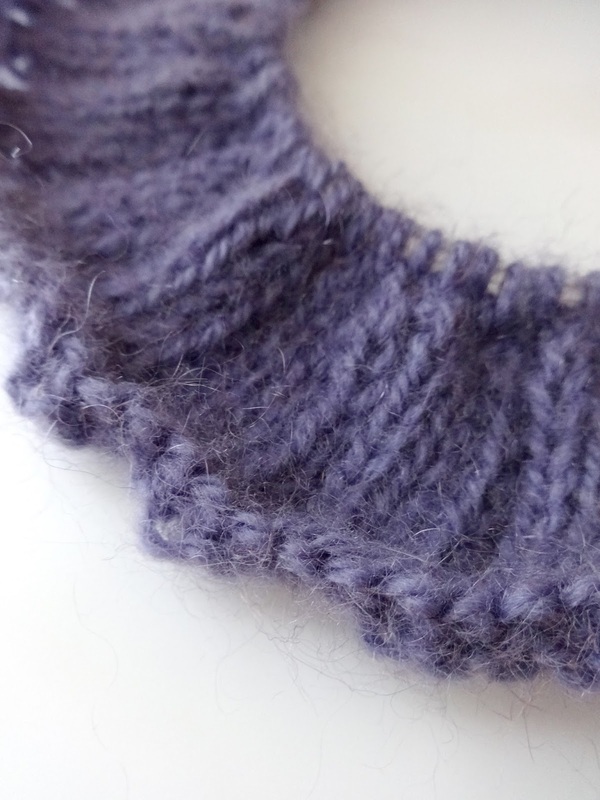 The fuzzy nature of the yarn, created by primarily by the mohair and wool, makes the stitches extra pretty and soft looking, while still retaining definition. 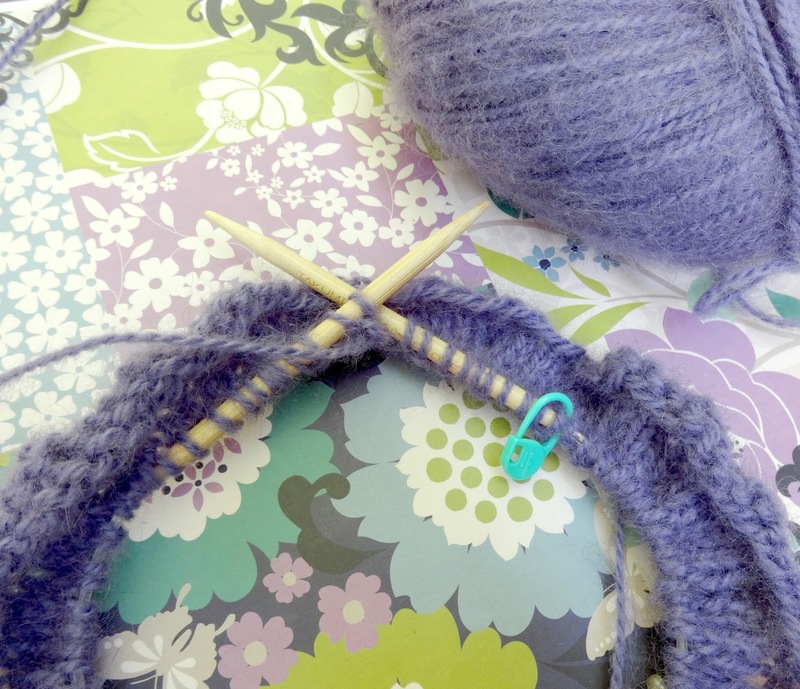 I enjoyed using this yarn very much and look forward to sharing the finished pattern with you very soon!